We took a total of 8 months before deciding on which hospital to deliver in, because being Budget Babe, I wanted to really review and evaluate my options before deciding! After all, childbirth is going to be one of the most major experiences in my life, and I really wanted to think through where would be best for me as I go through this milestone that will change my life forever. One of the major considerations of whether to deliver in a public or private hospital would be that of costs. To get an estimate of the bill sizes across different hospitals in Singapore, you can refer to MOH's website here. 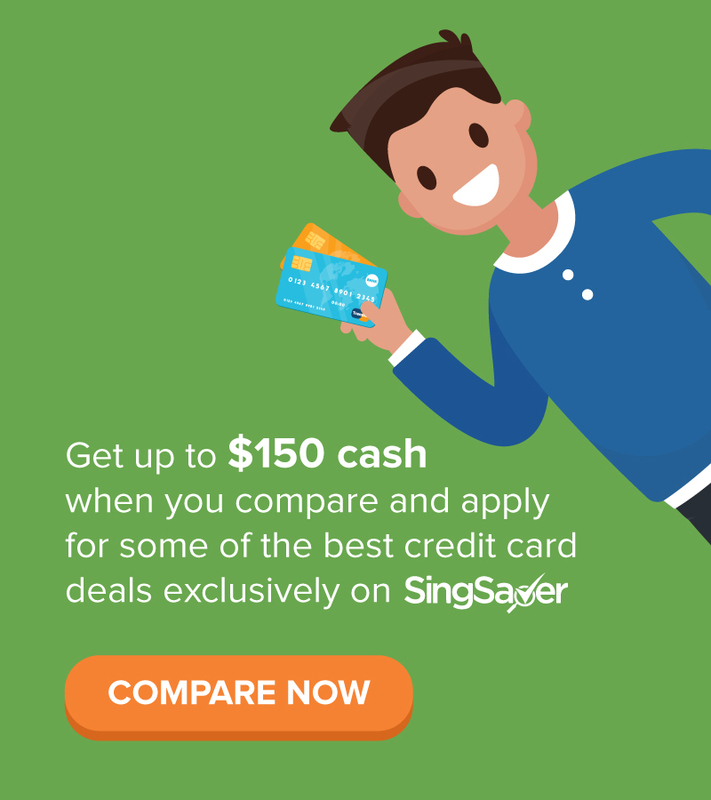 There are pros and cons of each, so ultimately it boils down to your personal preference and affordability. Husbands, do let your wives choose if you can, because they're the ones giving birth and going through the entire painful process, so the least you can do is to give them the maximum level of comfort that both of you can afford. I was initially leaning towards KKH as it'll be more affordable, but after learning about how in exchange (as a public and subsidized patient), you don't get to choose your doctor / anaesthetist / paediatrician during the whole labour process, I felt I wouldn't be able to handle the uncertainty! Moreover, I got admitted in my 30th week of pregnancy for a premature delivery scare (when I fell down the overhead bridge) and the KKH bill estimate given to me was $5,949 (after government subsidy, for A1 ward via normal delivery), which wasn't really as low as I had expected it to be. If you're with a private gynae, you should first ask which hospital(s) they deliver in before deciding which one you prefer to go with. Our gynae only delivers at 3 hospitals, so we were limited to TMC and MAH as both hospitals were the nearest to where we live (a 20-minute drive away). 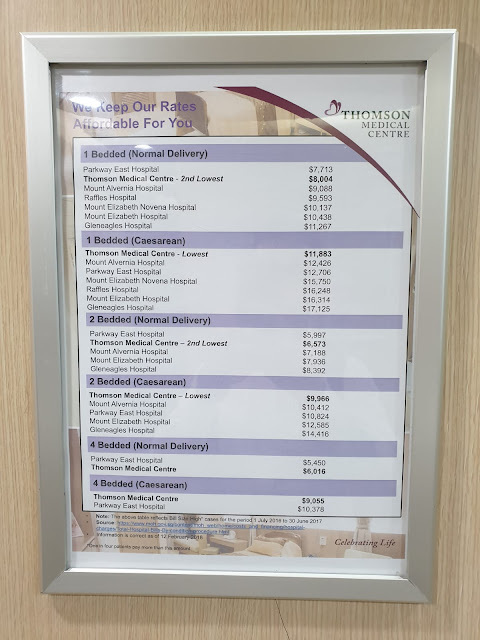 I took a photo of their rates comparison during my hospital tour as well. This was in one of the lifts! Many mummies who have previously stayed in shared wards (2 or 4-bedders) have openly talked about how it was difficult for them to rest properly as they were kept awake by their ward neighbours / crying babies / visitors. Also, only single rooms allow for your husband to stay over, and I wanted mine around for emotional support and strength after the birthing ordeal. According to the Ministry of Health's overall delivery bill estimates, TMC was one of the most affordable. For my fellow friend who delivered a month before me in a public hospital i.e. KKH under Ward A (let's use that as the best equivalent to a single room in a private hospital), the room rate was from $533 a day, so that's really not much of a difference vs. if you head over to a private hospital instead as you can see from the above. I went for the hospital tour by both TMC and MAH, and although both were equally well-equipped for labour and delivery, I felt more at ease in TMC's atmosphere as it felt more homely, in contrast to MAH where there are both maternity and sick patients. This might be due to the fact that one is a birthing centre whereas the other is ultimately still a hospital. 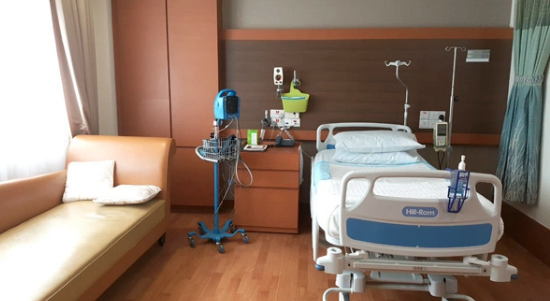 After my friend's experience with hydrotherapy for pain relief, I was also keen to look for a hospital that could offer this, and that's when I found out TMC is the only private hospital in Singapore with such facilities for water birth. MAH didn't have this option, which was a little disappointing for us. In terms of rooms, MAH's rooms were slightly bigger in size, especially if you go for their St Michael or Super Deluxe rooms (which are also more expensive). I didn't feel the need to go for such a big room though, and felt TMC's rooms were just nice without being cramped, and of course more cozy with sleek leather sofas for the husbands. Some might also feel more awkward at MAH due to their religious affiliation (it is a Catholic hospital), so I would highly encourage that you sign up for a hospital tour with the ones that you're considering so that you can get a better feel of the vibes in person for yourself. I've heard good things from other mothers about the nurses at both hospitals, but when we were there for the hospital tour, TMC's nurses seemed more friendly and helpful. 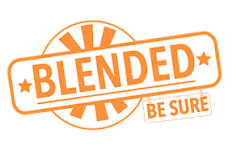 A friend of mine who recently delivered at TMC also had nothing but high praises for their nurses in terms of experience, patience and professionalism. Both hospitals are pro-breastfeeding, which was an important consideration for me because I wanted support and guidance on how to latch baby right and breastfeed him. I attended a few pregnancy conferences even before I decided on which hospital to deliver at, and was particularly impressed by Dr. Wong Boh Boi, so when I found out that she's with TMC, that was an additional plus point for me! Do also note that Mount Alvernia does NOT allow patients to bring their own breast pump, and instead charges for the rental each time. On the other hand, TMC allows you to use your own breast pump, and the lactation consultant was even kind enough to teach my friend how to operate hers during the visit! At the most recent pregnancy conference I attended (in my 8th month), I also got to try out TMC's confinement food and longan red dates tea which was super delicious! You can read my live update of the event here. My friend who recently delivered at TMC also raved about their signature fish and papaya soup, which is served to all mothers who deliver there and is specially designed to boost breast milk supply. I've not tried it yet, but am looking forward to! Was unable to compare with Mount Alvernia's food since I didn't get to try it at all, but reviews online don't seem to speak well of their food for those who have delivered there. My friend also recently delivered at Mount Alvernia and had a bad experience, to the extent that she said she'll rather go for TMC or pay more for Mount E if she has a third child. An additional point to note is that at TMC, all mothers get free-flow of longan and red date tea after delivery for the duration of your stay, but at Mount Alvernia, you're only given a cup at each meal. My friend had to pay $8 to top-up for a flask just so she could have more fluids, as a single cup just wasn't enough for her. and more. 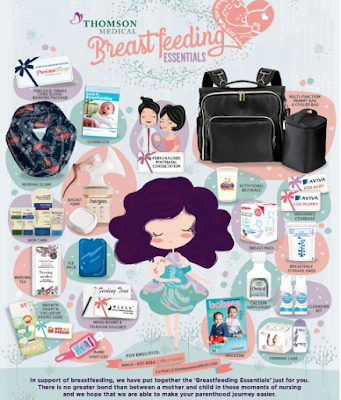 This was pretty impressive because it contains many essentials that I've been told to get in preparation for my breastfeeding journey. 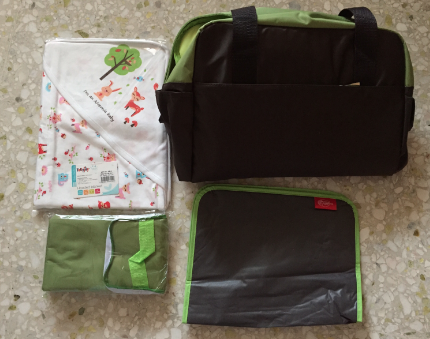 Of course, TMC allows you to bring home your baby's bathtub and their swaddle blanket (with TMC's logo) too! Both fare well in this area, but TMC is slightly superior due to the wide variety of their merchant tie-ups. The Mount Alvernia's Ladies Card gives savings on single and 2-bedded rooms, as well as services at the hospital, but their partner privileges are lacking and the most compelling for me was probably just the complimentary baby shoot with Baby U Photo Studio (2 x 5" by 5" images and selected soft copies only). On the other hand, TMC offers their First Born Incentive (FBI) and Subsequent Born Incentive (SBI) 2-year membership program, which helps to offset your room costs, doctor's delivery fees, paediatrician's consultation fees, diagnostic tests (unfortunately I didn't get to utilize this even though I took my Oscar and FA scan tests with Thomson because I didn't sign up early enough since I wasn't yet sure of where I would be delivering in), as well as 10% off their family clinic and other services. 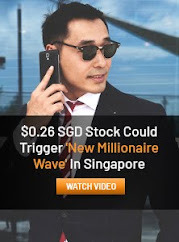 In addition, complimentary membership of their Celebrating Life is provided, where there's more merchant discounts with STRIP, Tim Ho Wan, Clarins, and more. 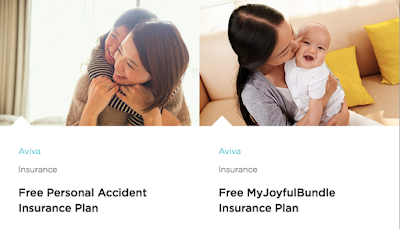 Both TMC and MAH offers complimentary insurance by Aviva, but I feel TMC's one is more worthwhile as you get free medical insurance for your baby for 12 months, a free 6-month life insurance coverage of $25k for the mother (Aviva's MyJoyfulBundle) and a free 6-month $10k personal accident plan. On the other hand, Mount Alvernia's patients enjoy 6 months free of personal accident insurance for both parents and baby. $25k life insurance (mother) 6-month personal accident plan for mother, spouse and baby. 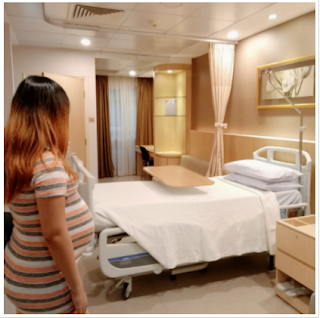 I didn't manage to document my experience during MAH's hospital tour as my husband couldn't make it at the last minute so I went alone and had no extra hands to take photos or record videos, but you can view my TMC hospital tour experience here! (includes a video of the delivery suite). In the meantime, motherhood duties calls! It all seems that there's not much difference in cost for single bedded ward between public vs private. Another concern I was thinking about is the monthly gynae check up cost for public vs private. Of cos it will be much higher at private as we are going to see the same doctor thru out, but just how much difference vs seeing on duty gynae at kkh? 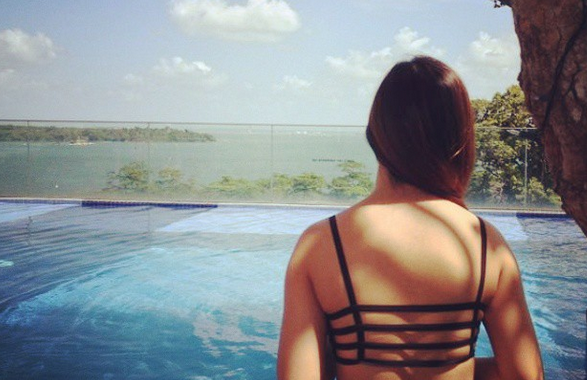 gynae fees all vary depending on the gynaes themselves, so that's a comparison post that would unfortunately be close to impossible to make, given that there are several hundred gynaes in Singapore, including the ones at KKH! If you're saying "on duty gynae" though, that's the pure public subsidised route where you basically are assigned to whoever is available instead of having a dedicated gynae who knows your medical history and pregnancy journey throughout. for that, I'm not too sure how much it'll cost as I didn't personally go through the public route (for reasons that I've detailed in a previous post) but I'm guessing it should be cheaper? 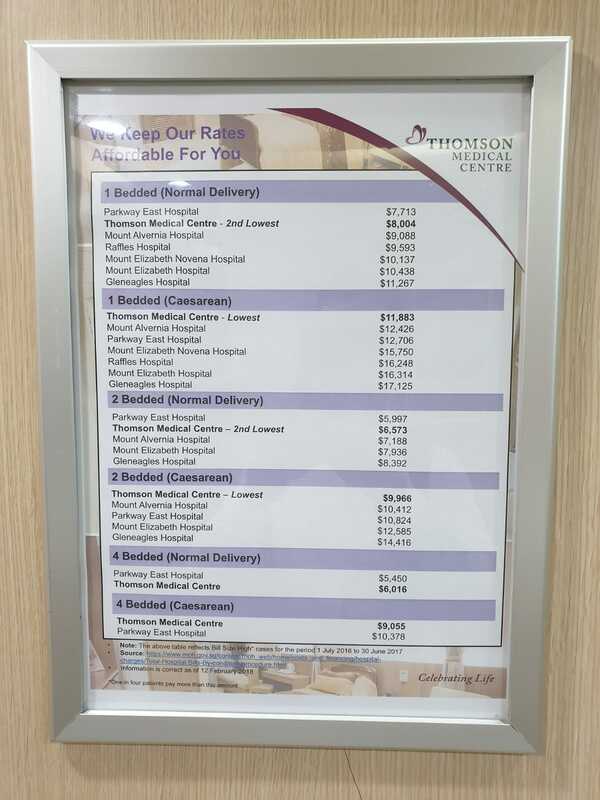 Private gynaes can vary from as low as $80 per visit to $300+ if you go for what I call the "atas" ones (the tend to deliver in Mount E / Raffles /Gleaneagles types)!